Good Friday, also known as “Holy Friday,” is the Friday immediately preceding Easter Sunday. It is celebrated as the day on which Jesus was crucified. Many Christian churches celebrate Good Friday with a subdued service, usually in the evening, in which Christ’s death is remembered with solemn hymns, prayers of thanksgiving, and a message centered on Christ suffering for our sake. 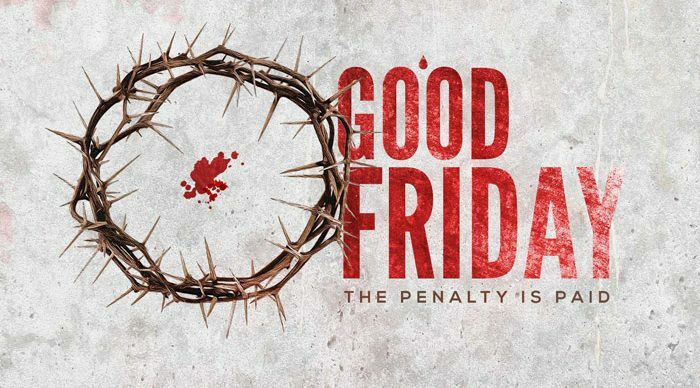 The events of Good Friday should always be in our minds because the death of Christ on the cross is the paramount event of the Christian faith. We observe this day at 1:30pm and again at 6:30pm.